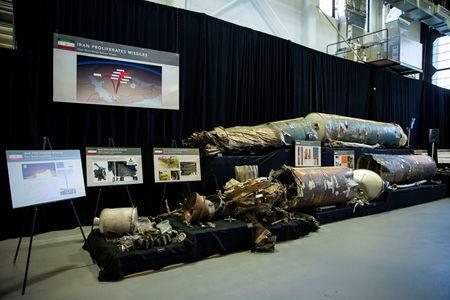 GENEVA (Reuters) - A senior U.S. arms control official said on Tuesday that Iran's missile programme is destabilising the Middle East and raising the risk of a "regional arms race" through the provision of such weapons to armed groups in Lebanon and Yemen. U.S. President Donald Trump said when he quit a landmark 2015 deal that lifted international sanctions against Iran in exchange for limits on its nuclear activities that it failed to rein in Iran's missile programme or curb its regional meddling. "Iran’s missile program is a key contributor to increased tensions and destabilisation in the region, increasing the risk of a regional arms race," Yleem Poblete, Assistant Secretary of State for Arms Control, Verification and Compliance, said in a speech to the U.N.-sponsored Conference on Disarmament. "We should all be truly worried about the U.S. representative’s misbehaviour as we all warn that they may turn violent since they lack any human logic to talk and listen in a normal manner as we are used to," he said.